One of the blessings of living in southern California is our proximity to the beach. Several of us spent the last four days camping at Refugio State Beach, just north of Santa Barbara and about 2 1/2 hours north of Downey. You can hike and bike, watch the harbor seals sun themselves and the pelicans dive for their dinner, or just be lazy and fall asleep to the sound of the waves breaking nearby. What you can't do (or at least we can't) is get reservations during the summer. And so, camping at Refugio in September has become an annual tradition. 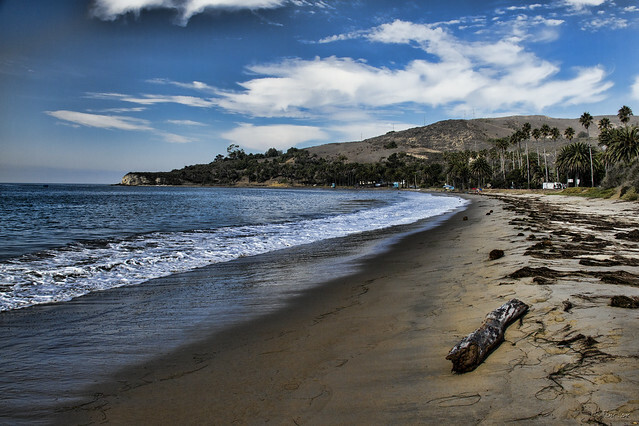 When you leave Highway 101 at Refugio Beach, if you turn inland instead of toward the beach, you will eventually reach Ronald Reagan's "western White House," where Reagan spent vacations during his presidency. At various times, Reagan hosted Margaret Thatcher, Queen Elizabeth II, and Mikhail Gorbachev at the ranch.